2 And God looked upon His creation with great sadness, for His spirit no longer abided with mankind. 3 And the Lord said: As in the days of Noah, a great deluge shall sweep over the earth; and this shall be a deluge of blood. The monsters of men’s hearts shall be made flesh, devouring all in their path. And they shall be called Virals. So begins The Twelve, the second book in Justin Cronin’s trilogy of the apocolypse. Book one, The Passage, plunged us headlong into the fiendish aftermath of a government experiment gone terribly wrong. “It happened fast. Thirty-two minutes for one world to die, another to be born.” Now Cronin continues the story: because the end of the world was really just the beginning. The first part of the book takes us back to Year Zero, when all hell breaks loose. New characters are introduced, old ones are developed, and more light is shed upon the circumstances surrounding the first Viral outbreak. 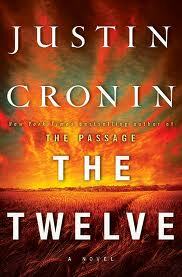 Meanwhile, Cronin gradually brings us back to the current time, 97 AV – five years after the end of The Passage. Mankind’s fight for survival goes on, but the rules have changed. The enemy is evolving… and the future may hold something far worse than the extinction of the human race. You could say the stakes are high, and you’d be right. In more ways than one. 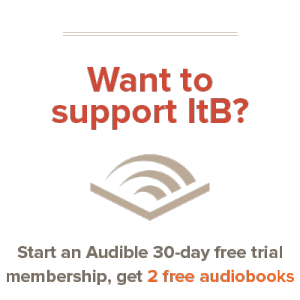 This is, after all, a novel about vampires. Get it? Stakes… vampires… oh, never mind. The first question we must ask of The Twelve is this: did it live up to its predecessor? And to that I answer, yea and nay. The Passage is still the stronger of the two, by my reckoning – grander in scope, more tightly plotted, and with greater emotional heft. That being said, this sequel is no slacker. Even with its shortcomings, it towers high above the majority of modern fiction, and is, on the whole, a worthy addition to Cronin’s saga. And speaking of Cronin, the guy is still at the top of his game as a storyteller. His writing is terrific, and he once again exhibits a tremendous (indeed, Clancy-esque) talent for handling large casts of characters. The story itself is a bona fide epic – a sprawling and majestically gritty tale of blood, survival, sacrifice, and adventure. Some have said it can be read as a stand alone novel, but I couldn’t disagree more. This is a sequel, in the truest sense of the word, and the core of its power lies in its connection to the first book. Reading The Twelve without reading The Passage is like reading The Two Towers without reading The Fellowship. In a word: pointless. I said this was a novel about vampires, but that’s only half true. Vampires (or Virals) do play a significant role, but Cronin’s story is ultimately about the human race and those who fight for its survival. Like AMC’s The Walking Dead, The Twelve is less about the dead than it is about the living, and its pages are scattered with thought-provoking questions and ideas. You’ll find thrills, and more than a few chills, but you’ll also find quite a bit to think about. As far as objectionable content goes, The Twelve isn’t much different its predecessor. There’s plenty of violence, a fair amount of strong language, and some mature sexual material. Be sure to take that into account when deciding if you want this book on your shelf (or your child’s shelf). Don’t say I didn’t warn you.